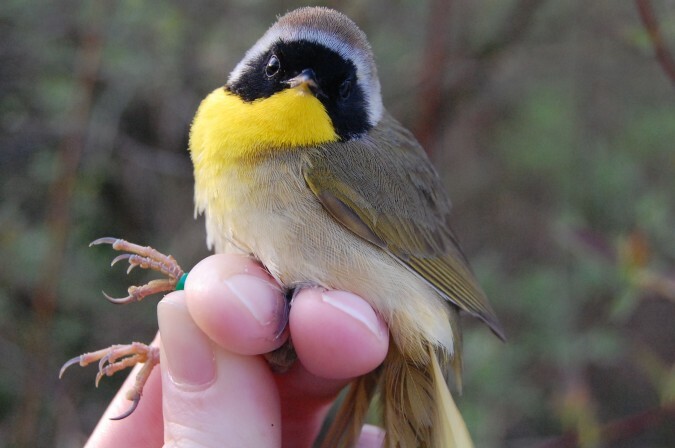 This male common yellowthroat (Geothlypis trichas) was mist-netted at a field site in Pennsylvania. The study aims to test the hypothesis that male song is predictive of bird quality, habitat characteristics, and/or local insect abundance, which is used by eavesdropping migrating birds to locate resources. Photographed in daylight using a Nikon D40.